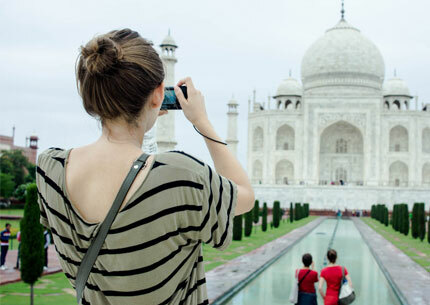 The ideal 3 nights 4 days Golden Triangle tour packages will take you to the myriad historic monuments of Delhi, which will be followed by a trip to Agra and Fatehpur Sikri, where you get to see the ruins of forts and palaces as well as the famed Taj Mahal. Enjoy some time away from the daily routine of life, in the vibrant markets of Jaipur, and among the marbles facades of royal palaces and forts. Daily hotel breakfast and en-route mineral water. Begin your trip meeting your guide at the airport, railway station, hotel, or elsewhere in Delhi at 9am. Spend about three hours visiting Qutb Minar, Lotus Temple, and India Gate, learning about these monuments from your guide, and drive by Parliament House, President's Palace, and the secretariat buildings. There will be time for lunch at a local restaurant and then you’ll set off for the three-hour drive to your five-star Agra hotel. Overnight stay at Hotel. Watch the sun rise over the Taj Mahal as your guide shares its history as a tomb built by Mughal Emperor Shahjahan in 1630 to enshrine his wife. Enjoy breakfast at your hotel and then spend two hours visiting Agra Fort as your guide reveals the marvels of its palaces, balconies, and gardens. From Agra Fort, make the five-hour journey to your five-star Jaipur hotel, visiting Fatehpur Sikri on the way, to admire the architectural wonder built for Mughal emperor Akbar as his home and empire’s capital from 1571 to 1585.Overnight stay at Hotel. 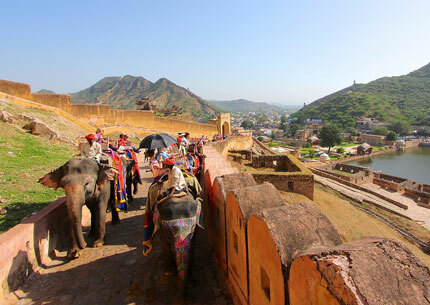 After breakfast, travel to Amber Fort, the capital of Rajasthan until 1728, and follow your guide on a two-hour tour of its palaces, squares, and monuments. Head down the hill to Jal Mahal, a palace floating on Man Sagar Lake, for a photo opportunity. There will be time for lunch and then you’ll spend two hours exploring Maharaja’s City Palace, then head to Jantar Mantar, an observatory built by Rajput King Sawai Jai Singh, to explore for about one and a half hours. 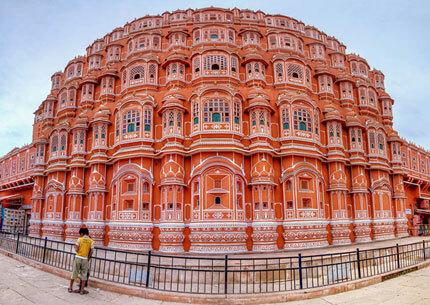 Drive past Hawa Mahal (Palace of Winds) before returning to your hotel. Overnight stay at Hotel. Towards the afternoon, pay a visit to various other monuments of Jaipur such as Nahargarh Haveli, City Palace, Hawa Mahal, and Jantar Mantar. 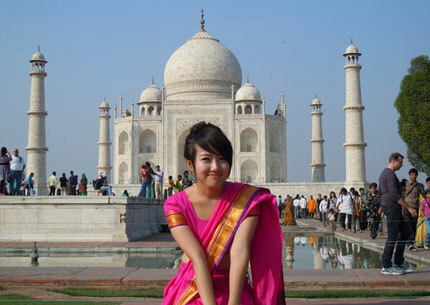 Wind up the last day of your Golden Triangle Tour Package, and drive over to Delhi for catching your flight back home.